Every day on the internet, we see a lot of stuff related different fields, areas, arts and much more. The Internet is a place where we get lots and lots of information regarding any particular topic be it news, jokes, memes or just random assembly of words, characters, GIFs, videos and so on. We regularly see something or the other going viral on the internet, whether it be a picture or a video or anything else. We don’t know when and at what time it goes viral. Now, we have come to show a dance performance by a group of college girls which went viral recently on social media. You can’t dance just for the sake of dancing; if you really want others to enjoy your performance, make sure it comes from within. These girls from Odisha College have followed this rule and have set the internet on fire. 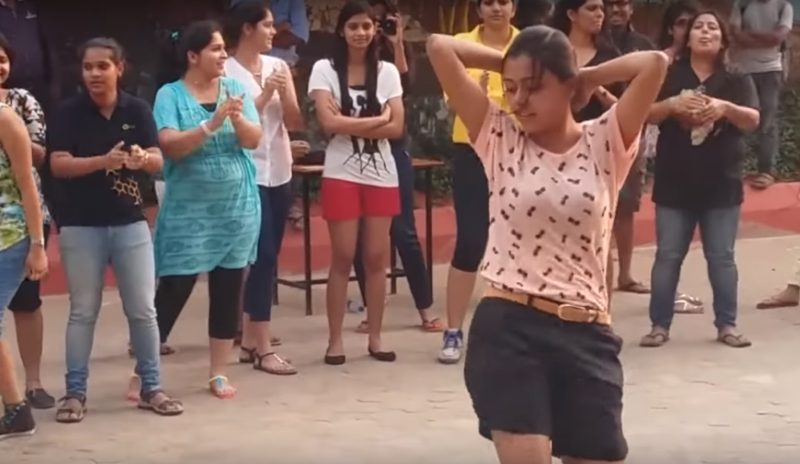 A dance video of a girl gang, that was posted in January 2017, is now winning hearts. The video has 13 Million views and still counting. Shaking legs to a crazy dance mashup–from Rahman’s ‘Muqabala’ to ‘Oh, Oh Jane Jana’, the girls are grooving like there’s no tomorrow. Netizens is crushing on this neck-breaking dance routine. Although the video is old, it is getting momentum now and people are just loving it. Seeing their energetic performance, you will also feel like dancing and whistling till the end.